Stop living with those flickering lights, and let an electrician from Rulon Electric Company in Houston, Texas, keep your home or office lit and safe. Bring your home or office up to code. Whether it's installation for a new home or remodeling for an existing home, our staff takes care of your electrical needs, including mounting fixtures, wiring rooms, and bringing current wiring up to federal and city code. Receive great work at affordable prices. Some of our technicians have worked for our company for over 25 years, providing you with experienced work at prices lower than our competition. Add a touch of elegance to your home with a newly installed or rewired chandelier. With work based entirely on your needs, we fix or mount your chandelier, making sure everything is up to UL™ safety standards. Turn on your mood lighting with the touch of a button. Whether for your home or your office, we offer custom and programmable dimming systems you control with a remote or phone. Our technicians take care of everything from installation to repairs and can even integrate multiple systems into a single control scheme. As your emergency electrical backup, you need to make sure your generator is properly installed and in good condition. We work with a variety brands, including Commins,Onan and Generac, and can install a new system or repair your old one. Whether you have a major short circuit or a bad dimmer switch, our technicians travel right to you, ready to repair anything. We have more than 10 fully equipped service trucks ready to go at a moment's notice. Get quality work that will last. We offer a 30-day warranty on any chandelier parts and on labor for any of our wiring jobs. 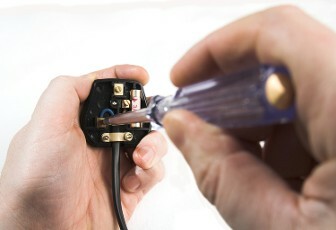 Contact us to let an experienced residential or commercial electrician handle your electrical problems.